Another part of the combat swim test is showing the ability to swim while fully clothed, including shoes, for an extended period of time. The idea behind the swim test is to prepare cadets with the possibility of water-involved situations they may face during their military career. December 7, 2017. Students gather and hold hands in a circle around the Silent Sam monument at the University of North Carolina at Chapel Hill. A large demonstration formed around the statue to protest the statue’s position on the university’s campus on February 21, 2018. From left to right, Cosima Hernandez, Suad Jabr, Emily Yue and Mitch Xia carry a Real Silent Sam Coalition banner as they marched in protest against the statue at the University of North Carolina at Chapel Hill. Protestors for and against the statue’s removal attended rallies near the monument on Tuesday, August 22, 2017. A North Carolina fan sits above the crowd as thousands of Carolina fans storm Franklin Street to celebrate the North Carolina Tar Heel's victory over the Gonzaga Bulldogs in the NCAA Championship on April 3, 2017. The Tar Heels won 71 to 65. 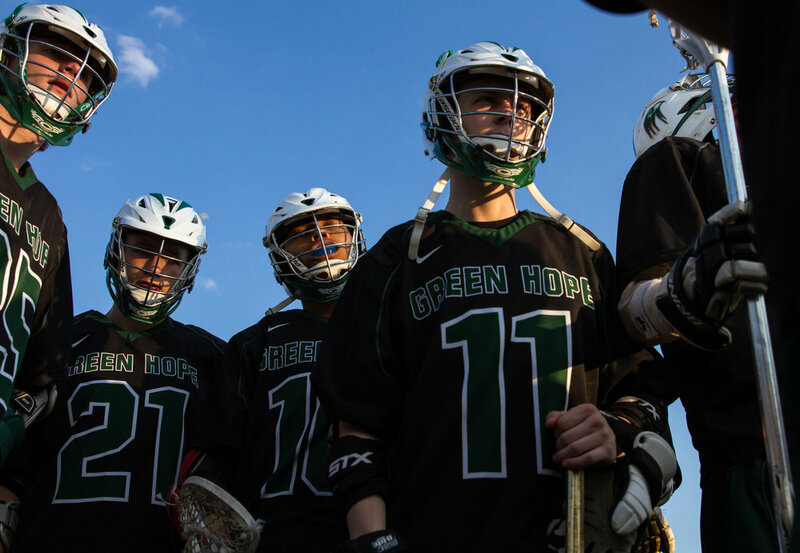 Players Jack Larkin, Jack Stiglitz, Isaias Delgado, and Colin Reyer join the huddle before Green Hope's sixth game, at Middle Creek High School. Green Hope would go on to lose the game 19 to 5. March 21, 2017. 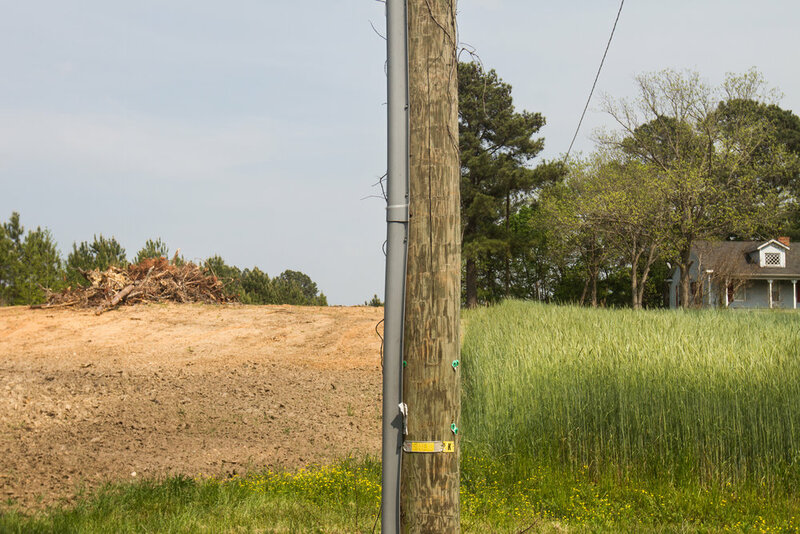 A side effect of Cary's expansion is development of farm land. Suburban developments have popped up on traditional farm land. April 16, 2017. Miami University’s football helmets are put into travel cases after the away game against the University of North Carolina on October 28, 2017 at Kenan Memorial Stadium. The Miami Hurricanes beat the UNC Tar Heels 24 to 19. A lone supporter of the Silent Sam monument debates with multiple protestors over whether the statue should be removed. Protestors for and against the statue’s removal attended rallies near the monument on Tuesday, August 22, 2017. UNC’s Beau Corrales, right, grabs a pass in front of Miami’s Michael Jackson during Saturday’s game at Kenan Memorial Stadium in Chapel Hill, NC on October 28, 2017. The Hurricanes beat the Tar Heels 24 to 19. Thousands of Carolina fans storm Franklin Street after the North Carolina Tar Heels defeated the Gonzaga Bulldogs 71 to 65 on April 3, 2017. 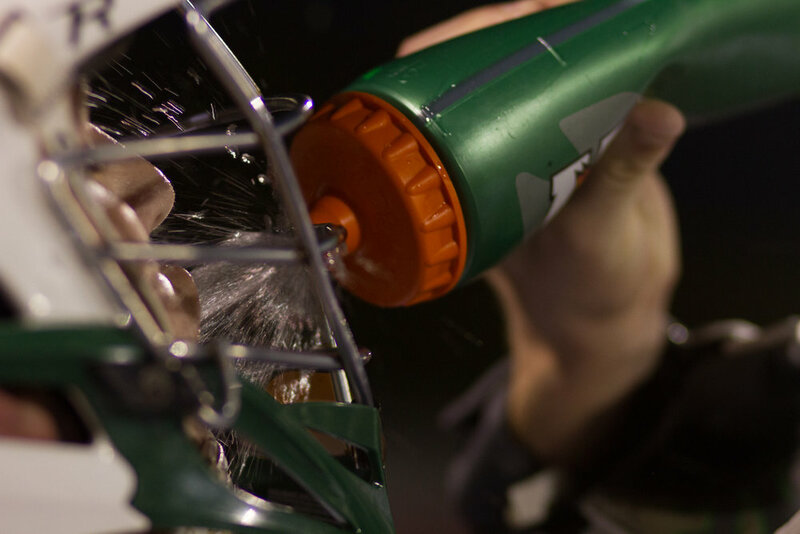 A Green Hope player takes a drink during a break in the season opener against Holly Springs High School. Green Hope would go on to win the game 9 to 6. February 28, 2017. UNC's Maurici Pineda vaults a Notre Dame defender during a match on October 27, 2017. UNC would win the match 3 to 0. On his way to the farm yard, goatfarmer Ted Domville stops to check on the feed in one of the storage rooms. When Ted and his wife, Sandra, bought the farm, they found it in less-than-adequate conditions. “The goats had nothing to eat. They were basically eating grass. Sandra and I decided that we had to take care of these goats, out of our pocket.” February 6, 2017. 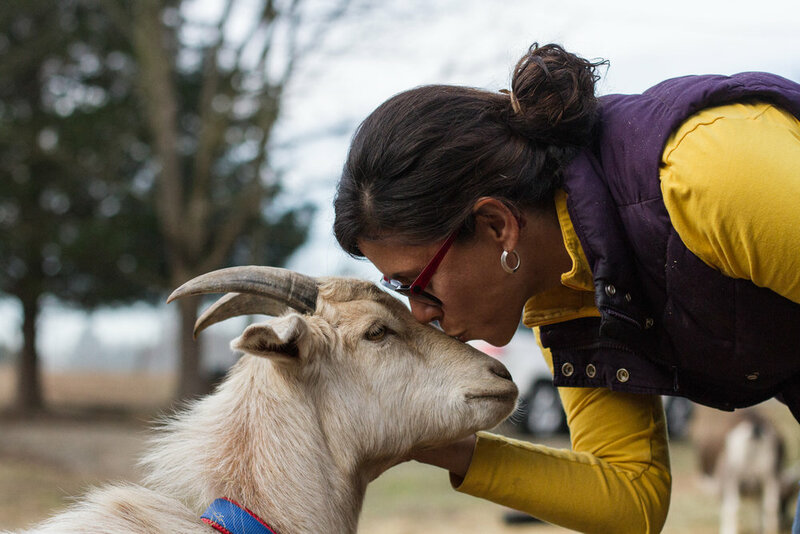 Sandra Domville shares a tender moment with one of the goats on her farm. Febuary 8, 2017. 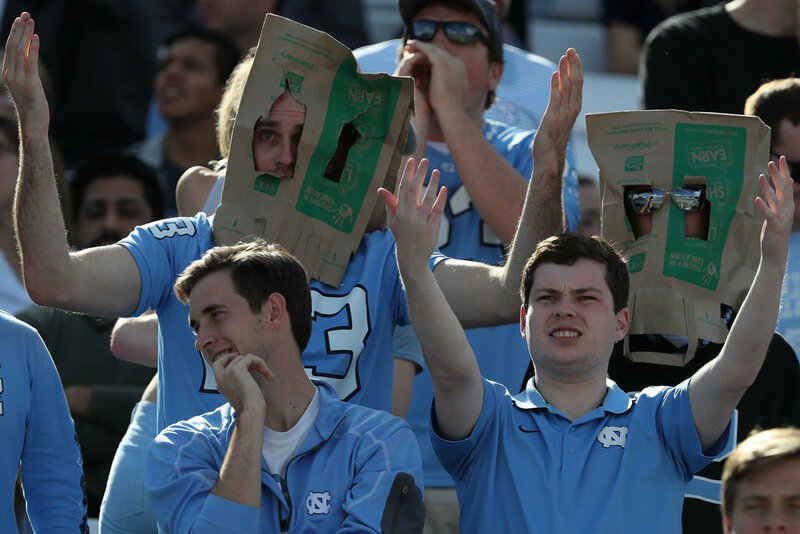 UNC fans react to a pass interference call during Saturday’s game at Kenan Memorial Stadium in Chapel Hill, NC on October 28, 2017. The Hurricanes beat the Tar Heels 24 to 19.